The seal that for hundreds of years had confined the demon king Giri has worn off. A young boy named Nike is chosen (against his will) as the hero. 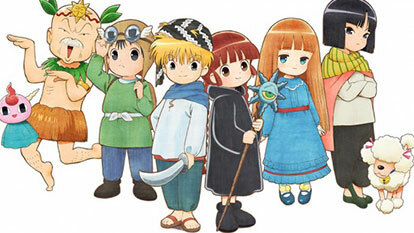 Together with Kukuri, a girl who is the lone survivor of the tribe that had used black magic to seal Giri, they set off to save the world, RPG style.